Obituary Notice for Samuel J. ((Sam)) Palmieri | Pepper Funeral Homes & Cremation Facility, Inc.
Samuel J. Palmieri, 74, of Towanda, PA passed away peacefully in his sleep on Friday morning, February 1, 2019 at the Guthrie Towanda Memorial Skilled Nursing Unit. Sam was born September 27, 1944 in Towanda, PA, the son of the late Dorothy (Dieffenbach) and Peter Palmieri of New Albany, PA. He was a 1962 graduate of Wyalusing High School. 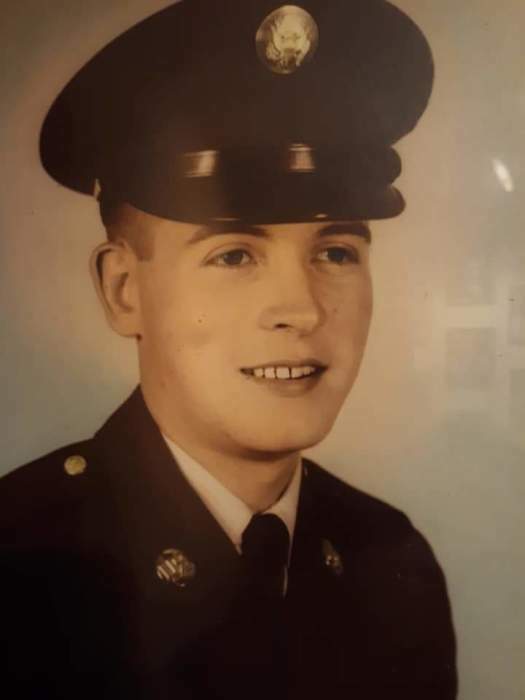 Sam served during the Vietnam Era stateside as a Sergeant in the U.S. Army. In 1967 he married the former Connie Campbell of Wyalusing. Sam was employed by GTE Osram in Towanda as a photographer/graphic artist, he retired in 1999 after 35 years of service at the facility. Sam enjoyed gardening, cooking, and camping, he was an active swim-parent & supporter of Aqua-Ducks, a Little League Assistant Coach and Coach. He enjoyed going salmon fishing with his friends. He was also involved in a variety of charitable activities during his lifetime. Surviving is his wife of 51 years, Connie, a son and his fiancée, Scott Palmieri (Lisa Overpeck) both of Troy, daughters and a son-in-law, Jessica Palmieri of Towanda and Jacque (Mike) Stadler of Friendswood, TX, a grandson, Evan Stadler of Friendswood TX, his sister Linda Thall of Dushore, PA, numerous beloved nieces, nephews, a brother-in-law, Richard Campbell and his wife Diane. The Pepper Funeral Home and Cremation Facility, 578 Springbrook Dr. in Canton is assisting the family with arrangements. Share memories and condolences at www.pepperfuneralhomes.com.